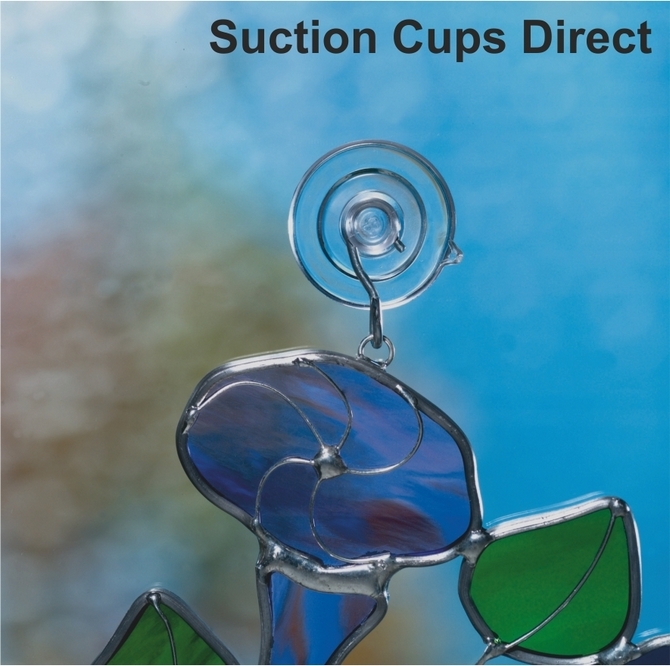 Small suction cups with hooks: Suction Cups Direct. HOME >> Suction Cups. Hooks >> Small suction cups with hooks. 32mm diameter. Holds 0.45kgs. 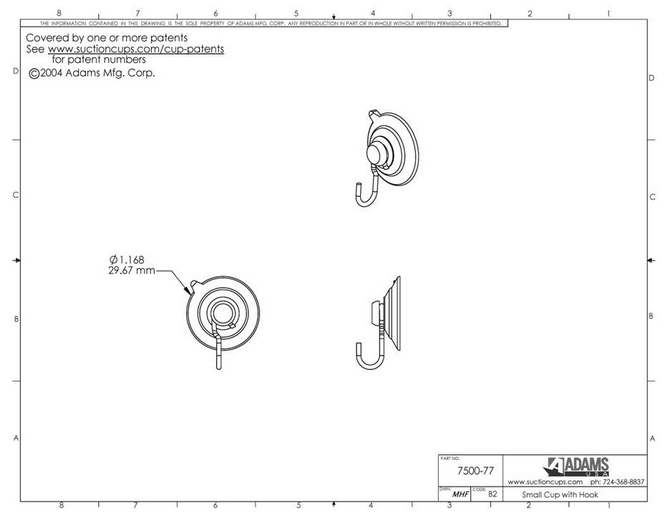 Small suction cups with hooks which are 32mm in diameter from Adams are rated to hold 1 pound (0.45kgs) each in weight. 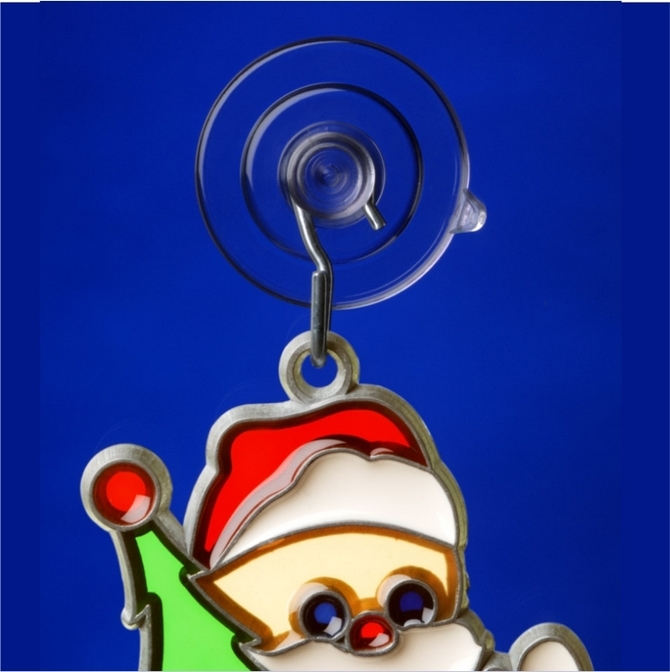 These small suction cups with strong metal hooks are great to hang posters, door or window signs, documents, sun catchers, crystals, thermometers, caravan interior products, car air fresheners, keys etc. Adams suction hooks stick to glass or any flat, clean, dry, slick/shiny non porous, non textured surface like mirrors, glossy plastic, car body work or plain glazed ceramic tiles and remove or re-position by just lifting the quick release tab which eliminates damage by finger nail picking. For our full selection of suction cups with hooks, visit our home page for suction cups by type.